No one wants to start his or her business trip or vacation feeling stressed and worn out. This is why it's a good idea to book a Southampton Airport hotel for the night beforehand. We know a quick search of ‘Southampton Airport hotels’ online can prove to be a headache! There are so many options to compare and the prices seem extortionate. It’s enough to put you off the idea altogether. But don’t worry – UKACP have solved this little nuisance. We have put together all airport hotels in one place for you to easily compare. Pop your details in the search box and we will show you what is available. We don’t stop at hotel booking either. You can opt for a Southampton Airport Hotel with parking if you wish. All hotel options are presented with full details on what they have to offer you. You can order your results based on the most important aspect. This makes it really easy for you to find the best hotel. Our prices aren’t bad either! You can make some great savings when pre-booking through our website. The MacDonald Botley Park at Southampton Airport offers something special for sure. This hotel is definately the place to stay before you fly off if you're into fine dining. The AA Rosette winnng restaurant specialises in classic British food using fresh seasonal ingredients, by the way.. it's also got an impressive wine list! To compliment this the hotel also has an 18 hole glof course, indoor pool, steam room, impressive gym and a spa. This really is a hotel worthy of a mention! The Hilton hotel is a really good choice for families. There is everything from the Living Well health club to the beautiful landscaped gardens. The facilities are first class. The hotel isn’t too far away from the airport either – 3.2 miles. Rooms offered will cater for two adults and at least one child and the restaurant has child seats and highchairs. Holiday Inn Express is another option worth considering with all rooms having double beds and double sofa beds, so a family of four is no problem at all. There's also free wifi and a free buffet style breakfast included, surely this has to be a serious consideration for travelling families. When you want ultimate convenience, Holiday Inn Eastleigh is certainly a recommended hotel. Taxi transfers run 24 hours a day and are actually included within the price. 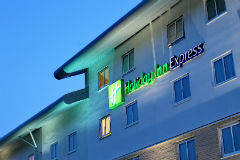 If you are looking for quality disabled facilities, look no further than the likes of, Hilton, Holiday Inn Eastleigh and Holiday Inn Express M27. 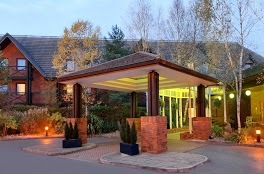 The MacDonald Botley Park hotel has specially adapted rooms with emergency pull cords, lowered light switches, handrails and accepts guide dogs. Don't forget that if you decide not to stay in a hotel the night before you fly you can still save money on our Southampton airport parking packages. We will always save you anything from 15 to 60% compared to the car park gate price.